I was so happy when I heard that one of the Pink Ribbon girls was going to be Lilith. I looooove Lilith, she is so awesome. Like I said yesterday, these images will only be available as digis and all the money will go to Pink Ribbon. 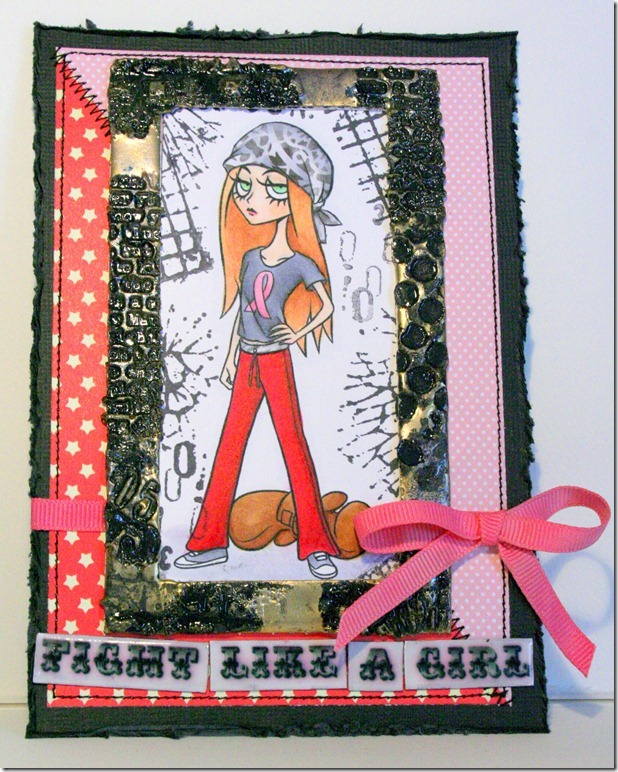 Hop on over and see what the other girls made over at the Tickled Pink Stamps blog. They are as usual amazing! 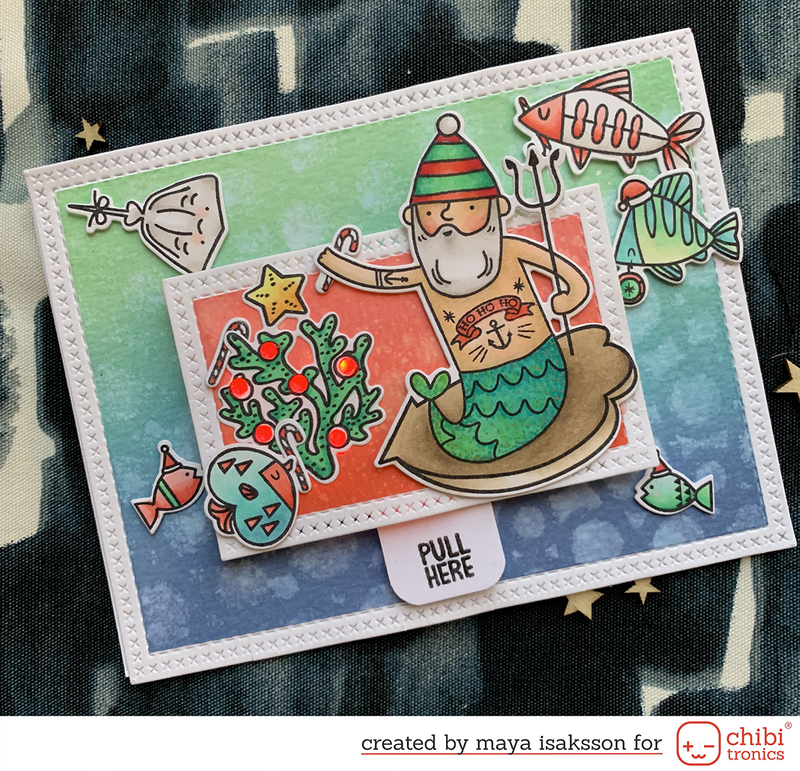 The stamps will be released tomorrow, you’ll find them among the other great stamps over at Tickled Pink Stamps. There is also some lovely sentiments to go with the Pink Ribbon girls. Fight like a girl is my favourite, it’s perfect with Lilith! I made the frame with UTEE and stamps. Really fun technique and I love the grungey effect. I hope you are as excited as me about the Pink Ribbon relaese. You can support Pink Ribbon and get cute stamps at the same time, how awesome isn’t that? Thanks for stopping by!